The National Committee to Preserve Social Security and Medicare is one of the largest and most effective advocacy groups fighting in Washington to ensure our government honors the commitment it made to retirees and working Americans through Social Security and Medicare. We are also a trusted resource for information about Social Security, Medicare and other matters of concern to Americans. Americans depend on their benefits for a secure and healthy retirement — and they’ve earned every dollar they receive through a lifetime of hard work. That’s why the National Committee is working with members of Congress and strengthening our coordination with other advocacy groups around the country to defeat dangerous legislation targeting Americans’ earned benefits. But to be effective we need more retirees and working Americans to get involved in the National Committee’s urgent fight today. To become a member, renew, or make a donation to support our critical work on your behalf, you can call our member services department toll free at 1-800-966-1935 Monday through Friday from 9:00 am to 5:00 pm Eastern Time. Or if you prefer, you can mail your donation to 111 K Street, NE, Suite 700, Washington, DC 20002. There are many ways you can help preserve the legacy of Social Security and Medicare to ensure a decent quality of life for Americans. Petition drives, rallies and press events, telephone campaigns and community forums are some of the frequent activities we employ to help influence the policy agendas of Congress and the White House. Don’t want to make a donation online? 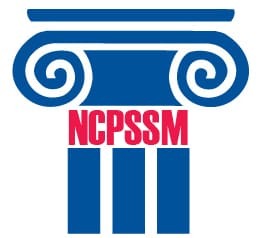 No problem, simply mail your donation check to NCPSSM, 111 K Street, NE, Suite 700, Washington, DC 20002.